I am going to try something new this season. 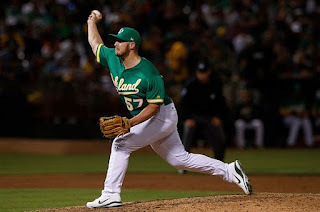 After each week, I will generate a new list of relief pitchers that are less than 50% owned in Yahoo fantasy baseball leagues, with the best K-BB% and an ERA at or below 3.50. The ERA number might shift if there are not enough options but for now, that is our baseline. This week, we will limit the pool to relievers with at least a 25% K-BB%.